What defines a “good” company? Is it simply the ability to increase sales and grow profits? Or is it something more fundamental? 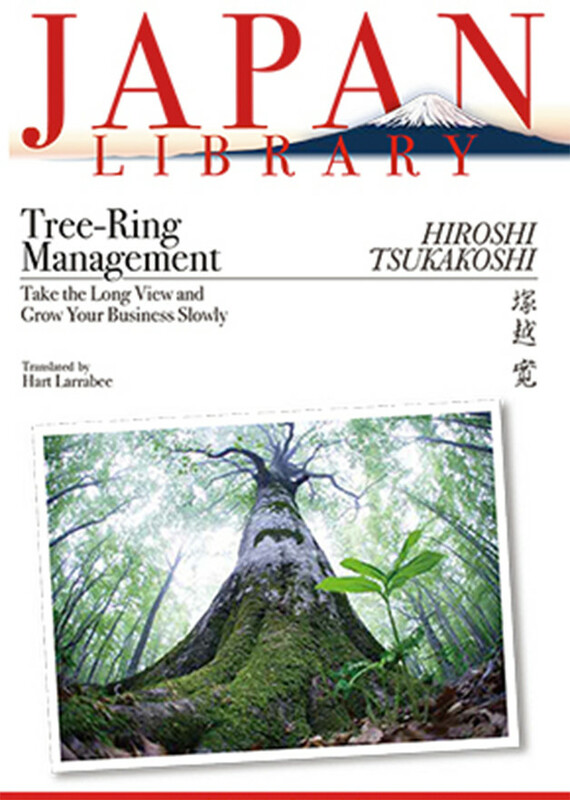 In Tree Ring-Management, successful Japanese businessman Hiroshi Tsukakoshi argues that companies exist to make their employees happy, and profit is no more than a means to that end. To make employees happy, however, companies must endure. 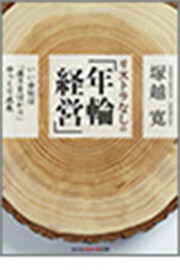 The key lies in what Tsukakoshi calls “tree-ring management”: slow, steady expansion of operations over the long term, just like a tree adding rings. In trees, rapid growth makes for wider but weaker rings; similarly, Tsukakoshi writes, companies should avoid rapid short-term expansion that might undermine their ability to provide for employees in the long term. This approach stands in stark contrast to the prevailing American model of management, which led to the financial crash of 2008 through the individualistic pursuit of enormous profit at any ethical cost. Tsukakoshi is the chairman of a company that manufactures kanten, a seaweed-based jelling agent widely used in food, health and beauty products. Based amid the natural beauty of Nagano prefecture, far from the bustle of Tokyo, the company has enjoyed over fifty years of uninterrupted growth since Tsukakoshi came on board as acting president at the age of twenty-one. It now welcomes a steady stream of visiting executives and analysts from major corporations such as Murata Manufacturing and the Toyota Group. Tsukakoshi’s work has won much recognition, such as the Outstanding Businessperson Award from Nikkan Kogyo Shimbun Company, the Good Company Award Grand Prize from the Medium and Small Business Research Institute, and so on. In this accessible and engaging volume he shares his insights into good management practices. He advises businesspeople to invest in employee welfare; turn down opportunities for quick growth; nurture fair, long-lasting relationships with suppliers; support the local community through investments in art and culture; implement seniority-based rather than performance-based promotion and wage systems; and above all measure success according to employee happiness. Tree-Ring Management challenges conventional wisdom on how to succeed in business and offers an inspiring model for executives worldwide. Hiroshi Tsukakoshi was President of Ina Food Industry Co., Ltd. and assumed the post of Chairman in March 2005. In recognition of his achievements in establishing a stable supply system for kanten and for pioneering new markets in areas such as healthcare, biotechnology and nutritional care, he was awarded the Medal of Honor with Yellow Ribbon in 1996. In 2011, he received the Order of the Rising Sun, Gold Rays with Rosette.